And the 2010 Kavli Award in nanoscience goes to…. On September 28, 1989, IBM researcher Don Eigler moved a xenon atom back and forth between two defect sites on a platinum surface. 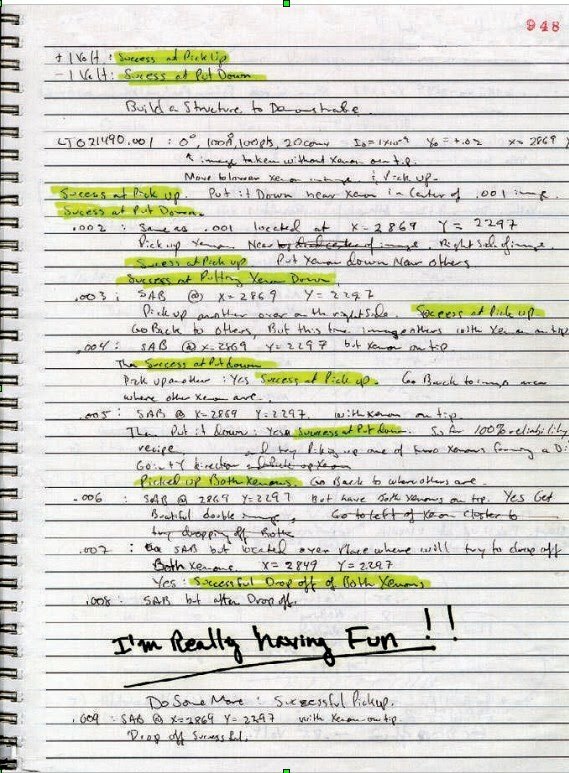 In his lab notebook of that date, under the heading of “first atom to be manipulated under control”, Eigler wrote “Did it,” “Did it” and “Did it again! 3 in a row. On February 14, 1990, Eigler used a different method to manipulate single atoms: instead of dragging the xenon atoms across the substrate, he lifted them up off the nickel surface and then put them back down in their new locations. 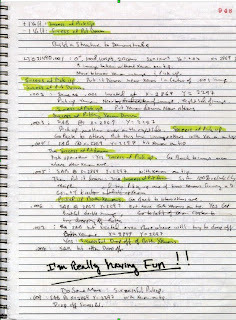 The lab notebook for that day records “success at pick up” and “success at put down” six times each — no doubt about reproducibility here — followed by “I’m really having fun! !” in big bold writing. Finally, in possibly the most famous image in the history of nanotechnology, Eigler wrote the letters IBM with 35 xenon atoms on a nickel surface. Today, Don Eigler is the winner of the Kavli Award in Nanoscience, which is awarded for outstanding achievement in the science and application of the unique physical, chemical, and biological properties of atomic, molecular, macromolecular, and cellular structures and systems that are manifest in the nanometer scale. Don is one of two recipients of this year’s distinction, and he recounts the events leading up to today’s award below. What we achieved 20 years ago, represented, at the time, a leap forward in our ability to investigate and control matter at the atomic scale. When we look at what we’re doing today, these milestones have really set the stage for the “nanotechnology revolution.” Atom manipulation with the scanning tunneling microscope has grown into a powerful tool used in laboratories around the world. What’s more, atom manipulation is as exciting today as it was 20 years ago. It’s amazing that I’ve managed to contribute something that is recognized on this scale. It couldn’t have happened without a lot of support and opportunity – from my parents, from my mentors, from the University of California, and from IBM. I have often been asked why I chose to write “IBM” instead of something else. It was simple: pay back. IBM provided me the opportunity to excel at what I loved doing most. Remarkably, that’s as true today as it was 20 years ago.